When more than one dog is involved in a dog related personal injury lawsuit, evaluation is usually needed to determine which dog was responsible for causing the injury. 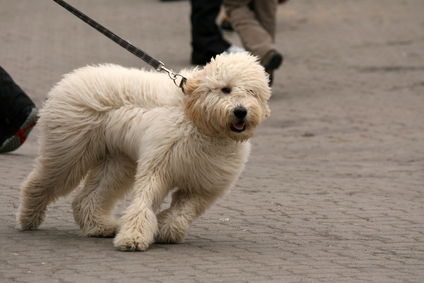 This most frequently happens, for example, when a person intervenes in a dog fight and gets bitten, or it may happened when a person is walking their own dog. A case in point, happened in an incident which went to trial in San Diego in 2007. 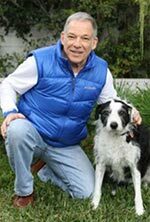 The case involved the plaintiff who was walking her 80 pound dog on leash in the upscale community of La Jolla. Shortly after she left her home, she encountered another dog on leash, a border collie, coming from the opposite direction, approximately 20 yards away, being walked by the defendant. Once visual contact was made between the dogs, versions differ as to what happened next. The defendant, who claims his dog was under control, testified that the plaintiff’s dog immediately lunged forward, pulling her to the ground. The plaintiff’s version was that the defendant’s dog charged her dog, causing her to fall. The plaintiff broke her shoulder. The plaintiff filed a lawsuit against the defendant on the basis of negligence. The opinion of any biomechanics expert supported the defense position; namely, the plaintiff’ s dog pulled the plaintiff down. This conclusion was based on the nature of the injury to her arm and hand. The behavioral expert for the defense concluded that the temperament of the defendant’s dog and this dog’s reactivity to other strange dogs while on leash was not consistent with the version given by the plaintiff. There was a defense verdict in this case. The relevancy of this case ties into recent findings reported by the Centers for Disease Control and Prevention in Atlanta which estimates that annually more than 86,000 pet related injuries are treated in hospital emergency rooms. Injury is often sustained when a person is walking a dog and suddenly is pulled down because the dog charges towards another animal, whether it be a squirrel, a cat, or another dog as in the case above. The CDC reports that 1% of the total injuries caused by falls in United States are pet related. Often wrist fractures happen because the person falls on an outstretched hand.